The Real Techniques brush collection allows you to recreate professional make-up looks in your own home. Created by make-up artist and YouTube guru Samantha Chapman, the collection has an emphasis upon creating an airbrushed, high definition finish for all. Each Real Techniques brush is made from hand cut, ultra-soft, synthetic Taklon bristles. 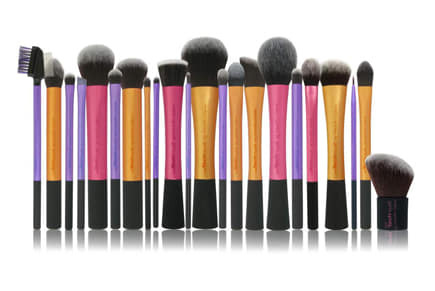 Versatile, plush and most importantly, cruelty-free, the brushes take the hard work out of perfecting the ideal look.